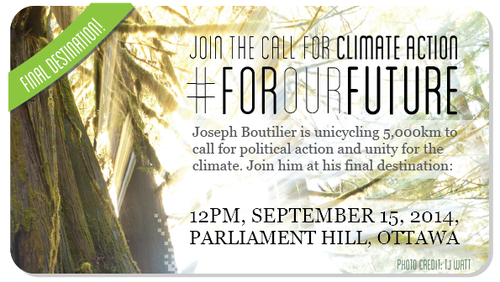 06/25/2014 - Joseph Boutilier is on a 5,000 kilometre unicycling trip to put pressure on the federal government to take action on climate change. 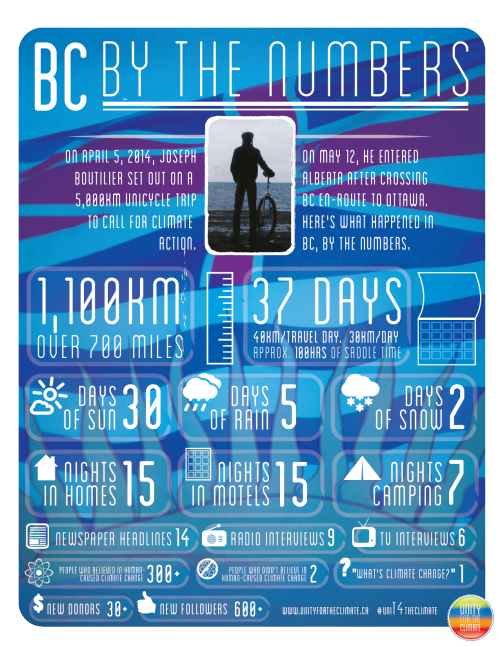 A recap of my ongoing unicycle journey for climate action, continued from the last recap. Snow lines the roads around the Paulson Summit; the next day flurries marked our descent. Donning wet shoes over plastic-bagged feet, layered in a heap of (mostly dirty) laundry, and hiding my hands in my sleeves (gloves also still-soaked), it was time to for Cam and I to hit the road after cresting the wintery Paulson summit and spending the night in an empty ski cabin. We still had many miles to go before descending the plateau and breaking clear of the high-altitude bubble of alpine weather. The roads were now slushy, with a fresh coat of white stuff falling as we rode; I was suddenly all the more grateful for the newly-equipped knobby from Bob of Wildways. Cam needed to head back Vancouver for other travel connections, and opted to carpool back to Grand Forks for a Grayhound after cycling through the worst of the flurries. Bidding him farewell, I continued along the gradual descent, marveling at how the snow thinned and disappeared as quickly as it had started in a haze of fine rain and fog. By the time I reached Castlegar, I was wet to the bone. Sheltering in the local Timmies with a cup of coffee was a welcome improvement, but I badly needed somewhere I could properly warm-up and dry-off, so I splurged on two nights in a recommended motel. As per usual, I spent my days contacting future connections and the local media and mapping out my next week. Sleeping was also part of the plan, which was achieved with mediocre success. 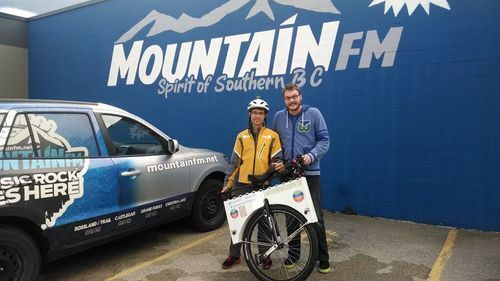 A short detour to Mountain FM was a great way to see Castlegar. A visit to the local rock station, Mountain FM, for their morning show took me past the big-box highway stops that collectively form the bustling new town to reveal a stretch of hidden greenspace proliferating from the river, along with the humble industrial roots of the town’s economy and a residential and retail area with more than a couple empty storefronts. Although I didn’t get to talk to anyone about the town’s history, this section had the markings of a pedestrian centre forced into an early retirement by booming franchises and evolving highways hyper-focused on rapid travel. 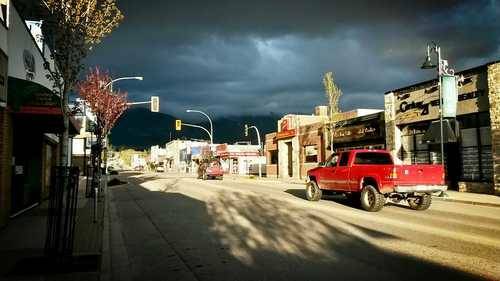 Still, without the heritage or recreational tourist aspirations of other towns along Route 3 in spite of its beautiful surroundings, Castlegar possessed a frank, contemporary energy and honesty that justifiably inspired its own brand of local pride. The sun shone just long enough for the kick off of the local Spring Fling festivities, but the rain didn’t seem to dampen anyone’s spirits. 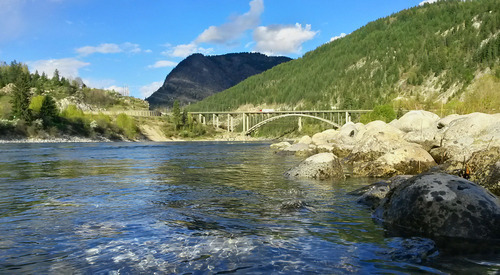 Many bridges offer awesome vistas of the Kootenay River. Kootenay River Kampground had earlier offered me a free night of camping at just West of Castlegar, and I took them up as a kickstart to my ride to Nelson the next day. By now a bait-and-tease cycle of glowing warmth and frigid rain had morphed into lasting sun with crisp blue skies. 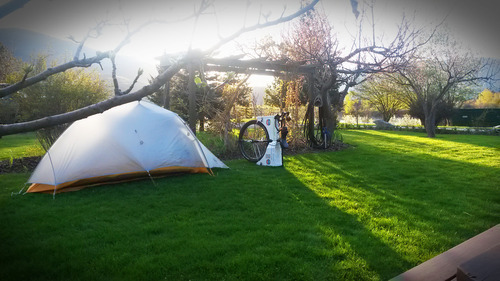 Closed within a horsehoe of towering camper trailers and RVs, the site is an oasis of simple landscaped gardens and cherry blossom trees beside a natural rock garden and field of chives that descend into the rushing Kootenay River. Canadian Geese watched me suspiciously as I rolled in and set up camp. 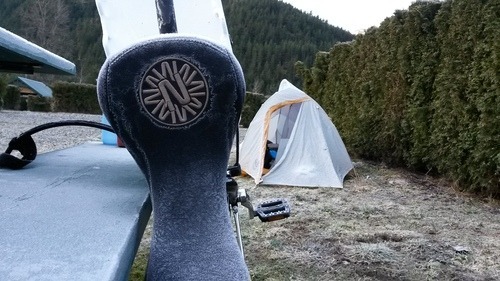 Without the sun overhead, the frost came out at the crack of dawn, chilling the dew inside my tent and waking me in a frigid, miniature rainfall. I couldn’t go back to sleep but rested for another few hours before breaking camp at 5. The Kootenay River Kampground is a beautiful spot, right beside the river. I tried to adjust the pedals to the shorter crank-length for the shallow rolling hills into Nelson but found them locked tight; Bob in Christina, armed with an actual pedal wrench, had tightened them properly; a scenario ironically not compatible with my limited resources of a borrowed alan-wrench multitool and a miniature adjustable wrench. I decided the extra exercise might not be bad for me, anyways, and hit the road with the pedals unchanged. I didn’t get far; a narrow bridge awaited less than a kilometre away, followed by two merging lanes on my right side. After a lot of walking and waiting, I finally mounted again and found the 3A increasingly inviting as it passed through Thrums and hugged close to the Kootenay River. Riding alongside (and over) the Kootenay River was a pleasure, although the highway wasn’t always especially cycle-friendly. I was more than bored with my dwindling food stock of BBQd peanuts with a side of peanut butter, so I was pleasantly surprised to see the inviting Thrums Market and Deli was open; after gnawing down a breakfast sandwich, I took advantage of the facilities and emerged to find a few staff and strangers leaning out the window, puzzling over my unicycle. I admitted to being the owner and found myself in lively conversation as I packed to leave; a granoala bar was donated for the road and I felt well rejuvenated for the remainder of the 40km. There were more services than I expected along the photogenic route, which departed only briefly from the riverside to make room for lush pastures and playful cottage homes. 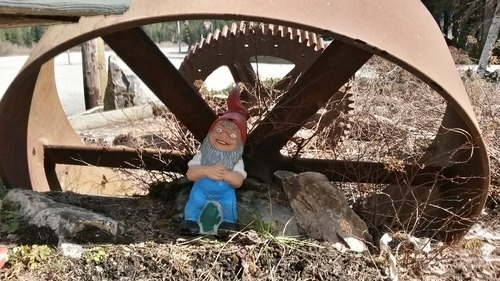 A series of dams and logging sites stood as reminders of the industrial backbone and resources of the area and its similarity to most communities in BC, despite the unique beauty and its popularity with tourists. The last leg of the journey didn’t go so well. On one particularly curvy and cantered stretch of road, the shoulder was a mangled mess of broken asphalt and rocks. I shoulder-checked before merging into the main lane, aware that the line of sight from behind was adequate for anyone behind to slow if necessary. A pickup did appear behind, and considerately slowed its pace for all of the 3-4 seconds it took for me to pass the broken shoulder and get off the road. A driver coming in the opposite direction, although not endangered or obstructed in any way, was apparently so indignant at my gall to ride a unicycle on the highway that they felt compelled to blast their horn as they passed. I didn’t think much of it at the time; I’ve spent enough time on the road to know that there’s a complexity of emotions that might trigger drivers to lash out and it’s usually best not to react at all. I like to give the rare irritant the benefit of the doubt, that perhaps they’re more concerned about my safety than they are angered at a perception of inconvenience. (For the record, if you’re concerned about my safety, blasting your horn unexpectedly while racing by me is generally not the best method of expressing it). I did have a cursory consideration of that incident later when an RCMP officer passed me twice and then parked ahead of me as I dismounted to cross the bridge over the river just west of town. Indeed, someone (I can guess who) had called in to report that a unicyclist was obstructing traffic on the highway. I didn’t bother trying to argue that it might have been a different unicyclist, but instead pointed out the obvious: that I was riding on the shoulder wherever possible and walking when the only safe means of passage. The officer was thankfully not only reasonable and sympathetic, but also supportive. After providing my ID and merging back onto the highway with exceptional caution under his watchful gaze, I realized that I was running late for a 1:30 lunch meeting with a supporter from the Citizen’s Climate Lobby. Between hills, google glitches and a nagging shin splint, navigating Nelson was a challenge. Awesome city, though! Entering town, it quickly became clear that the plethora of hills – let alone stop signs and lights – in Nelson made it a particularly non-unicycle-centric town (no surprise, then, I didn’t meet any fellow unicyclists there). Walking most of the way, I was relieved when I finally reached the destination 15 minutes after the fact…according to Google Maps. The problem was, the addresses in front of me didn’t correspond at all with the address on my phone. Technology had failed me, and it was about to fail me again. As I switched to my phone to call the contact, it unexpectedly died despite the quarter-battery readout. I trekked back through town trying to find somewhere to plug it in, wasting a bevy of time locking my uni outside a big-box Safeway with a tacked-on Starbucks (no plugs), before continuing on. Somewhere along the way, I realized that I’d managed to give myself a shin splint; increasingly painful and awkward. Long and boring story shorter, it was after 3 by the time my phone was charged enough to apologize for never showing up for lunch. I couldn’t get through to my billet for the night and wasted a few more hours in a greasy fast-food joint where there was finally an accessible outlet (but, alas, no wi-fi). After all that, it felt like my Nelson experience could only get better, and thankfully it did. My billet phoned me and promptly picked me, driving me to a beautiful house up a remote mountain road, bursting with the creativity of its 3 music-producing and visual-artist inhabitants. A geodesic greenhouse in the garden of my first Nelson billet. 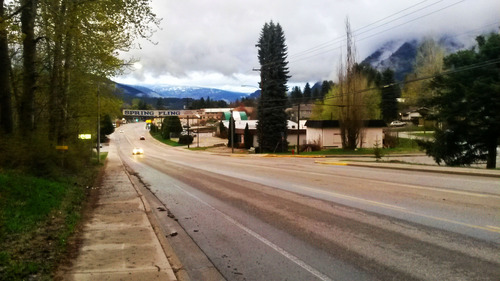 Although I felt somewhat antsy after already waiting in Castlegar for two full days, I decided Nelson would be as good a place as any to spend the remainder of my time and get back on schedule, while letting the spring weather catch up and my shin splint (partially) heal. I’m glad I did. 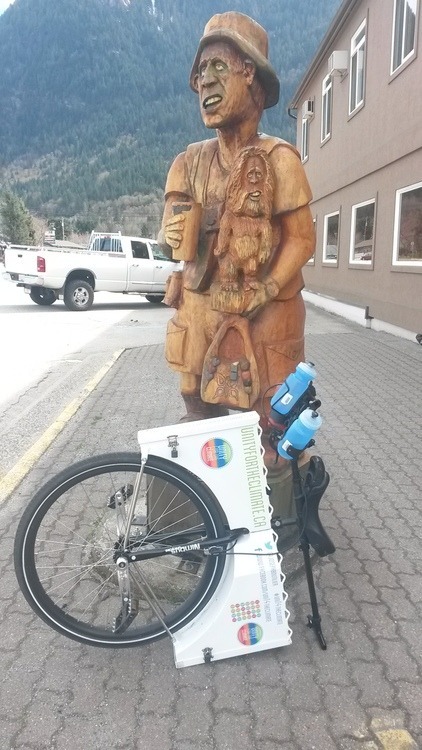 As Kootenay Co-Op Radio host Anthony put it after our on-air chat a couple days later, it was fortuitous for me to stop in a “health-centric” (not to mention eco and cycle-friendly) town while briefly out-of-commission. 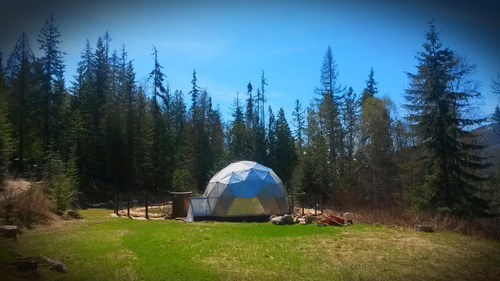 Although my billet was somewhat out of town, it was the perfect spot to update internet side of the campaign and plan for the days ahead while unwinding in the presence of likeminded creatives, a massive garden, backwood trails and a stunning geodesic greenhouse. 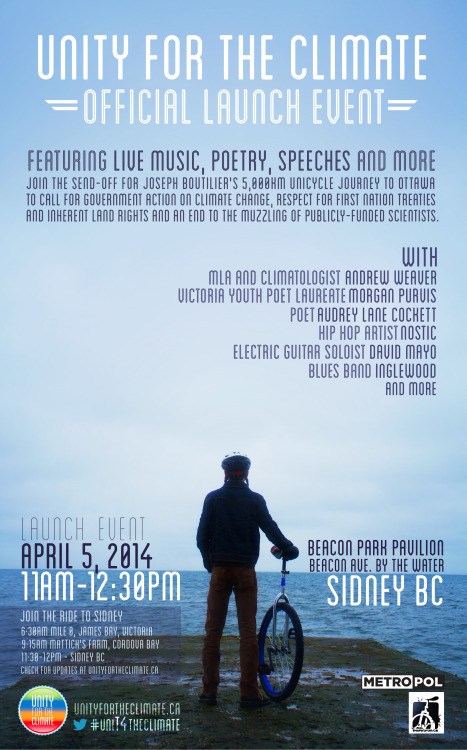 The days of rest also allowed me to participate in the 24hr Fast For the Climate event of May 1. Since COP19, participants of this global movement have been fasting on the first day of each month; this one was significant, marking the official launch of FastForTheClimate.org. I also spent the day running some errands, getting a new tube (having lost the first one mysteriously in Osoyoos) and some help adjusting my pedals at a local bike shop, and talking to the local press. 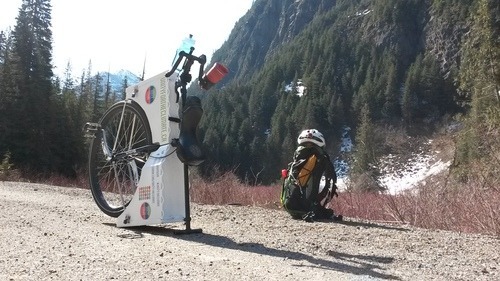 Although the location of my initial billet was perfect for laying low and taking in the scenery, I decided to take up an offer closer to town for the third night to allow me to leave early on Friday, May 2 for Kootenay Lake and beyond, heeding local advice to avoid the Kootenay Pass by taking the winding 3A. My second gracious Nelson billet was only minutes from town, but I’d been warned they were also up a hill. ‘Hill’ is such a broad term, isn’t it? It was only when I arrived at the bottom of Cedar St. that I realized it was the steepest street in all Nelson (and by far the steepest street I’d come across). Steep enough that, where sidewalks existed, they were in fact stairs. I didn’t even try to ride; knowing 8-9% grades were about my limit for sustained riding, it wasn’t until I was at the top of the hill that signs declared that the grade here exceeded 15%. Getting to and from my hosts probably didn’t help my lingering shin splint any but the warm welcome I received was well worth it. Cedar Street: More than twice as steep as any other I’ve come across. Hmm, I think I’ll walk. I set off early following a warm breakfast for Crawford Bay. Although I’d originally only planned to cycle to Balfour, the Crawford Bay Inn had kindly offered to host me that night. The weather was beyond perfect on day one of the 3A; I hate to pick favourites, but with the exception of the pain that came unexpectedly shooting back to my shin after a few klicks, this was the single most enjoyable stretch of the journey since leaving ‘the rock’. My original concern about 3A was the complete lack of shoulders, with white lines skirting the edge of blasted rock on one side and the water’s edge on the other. Despite this, the highway is deceivingly welcoming for self-powered travellers, with plenty of rest stops and signs cautioning drivers to watch out for bicycles (and…other things). In fact, with no shoulders, it was nice to have an excuse to take advantage of the invariably clearer and smoother roadway without fear of someone calling the RCMP about it. Felt like spring at Kootenay Lake…at first. Best of all, though, were the sights and smells reaching towards the road from a scenic scramble of terrain, equally diverse in natural beauty and cultural influence alike. Every hill crest and corner would reveal a different self-contained landscape, each of which could normally only exist miles – and not meters – apart. A summery rural paradise dominated by overgrown hobby farms; weeping willows and white arbors marking dusty dirt roads down to the deep waters of the navy blue lake. Then, an impressive Mediterranean red rock wall climbing up the hillside, scattered with water wheels; rich clay surrounding modern architecture thoughtfully planted on plateaus of the hillside, gazing across pale sandy beaches and shallow, turquoise waters. Then back to rugged west-coast wilderness with scraggly firs precariously leaning over scarred, charcoal-shaded rocks and white ripples of the stirring water. I wish I’d taken more photos over this stretch of road, following the west arm to the north shore of the sparkling lake, but I was so focused on the road and mesmerized by the sights that my camera was mostly an afterthought. Empties, sunniest, sandiest beach I’ve ever been to at Kokanee Creek Provincial Park. After a friendly visit with a member of the Kootenay Lake Chamber of Commerce and a coffee fill-up at a small convenience store, I stopped for a picnic lunch at Kokanee Creek Provincial Park. I was shocked to find the massive parking lot virtually empty, and the sprawling sandy beach likewise silent despite the sunny weather. I was even tempted to wade in the water before I rested long enough to realize how cool it actually was. I arrived well in advance of the 3:50 ferry departure at Balfour harbour where I enjoyed an iced Americano and chatted with a couple bikers and some backpackers; the first real spring travelers outside of RVs that I’d seen. I’d been warned that there was a massive hill coming off the ferry on the other end, so I changed my pedals back to the longer crank option while waiting for the vehicle traffic to depart. Despite the change, I still had to walk…not up the hill, but after it, exhausted and with my shin splint back in full force. I was delighted to meet the friendly owners of the Crawford Bay Inn; a quiet, tidy little hotel that was bright and airy inside. It was only when I limped down to the local pub for dinner (ok, and for a Stanley Cup playoff) that the full gravity of my nagging injury hit me. If the splint didn’t heal soon, I risked getting stranded on the next unrideable pass. And while I was getting better at hills, gravel and all known obstacles, most days still included at least one bridge, tunnel, detour, left-turn or construction zone that required me to dismount for at least a kilometer. 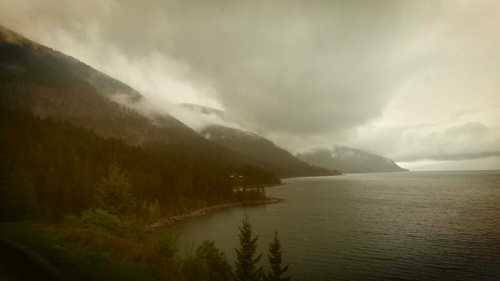 Day 2 on Kootenay Lake: Not quite so sunny anymore. 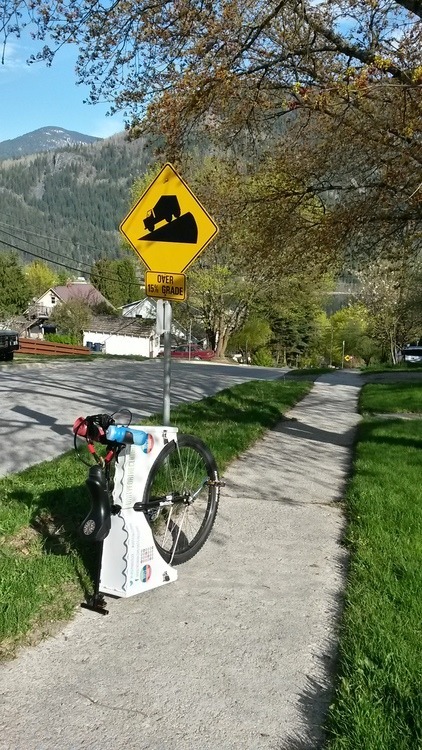 Being relatively isolated at the top of Kootenay Lake, I had little choice but to continue riding another two days the remaining 76km southeast to Creston. My discomfort was exacerbated by a sudden turn in weather; the scenery remained majestic as ever, but now in a pallet of dusty greens and mossy grays; drenched stone and sinking clouds. The worst of the rain held off the first day but when I arrived at Lockheart Creek Provincial Park – the only place to stop overnight – the humidity was thick and threatening enough that I opted to rent a neighbouring cabin instead of camping. The establishment was just opening for the season, but the supportive cable team on sight changed their workflow to set me up with the hockey game. I reveled in the remaining hours of dryness, draping clothes all throughout the cabin while watching the Anaheim Ducks handily beat the LA Kings until the TV cut out with 1 minute to go (only days later was I confused to learn the Kings won, having scored an equalizer with 7 seconds left and winning in OT). 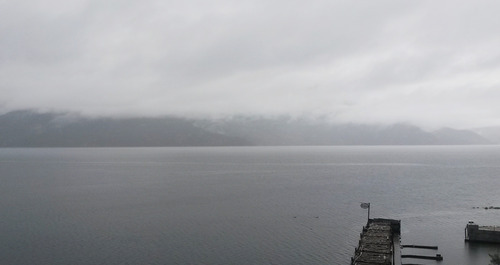 It felt like the sun was about to set at noon; brooding rain clouds over East Kootenay Lake. Rain was pounding on the roof the next morning, but I knew if I waited for it to pass I might be paying for a few extra nights; there was no break in sight. Within 10km on the road, my rain coat was soaked through, not to mention my tights and shoes. My shin splint was also acting up. The vast expanse of misty water and faint mountain silhouettes was alluring and gorgeous, but seemed painfully static as the hours wore by. A brief pause from the downpour was granted to me during a moment of sunshine that lit up the vibrant grasslands of Kootenay Landing through a sliver of blue sky. But it was raining harder than ever by the time I turned onto Lower Wynndel Road on the advice of a stranger to avoid the last hill into Creston. My clothes swelled with water, wilted from my body, my feet sloshed around in the buckets that my shoes had become. Massive puddles formed all over the edge of the road and my glasses became blurred by the waterfall tumbling from the visor of my helmet. 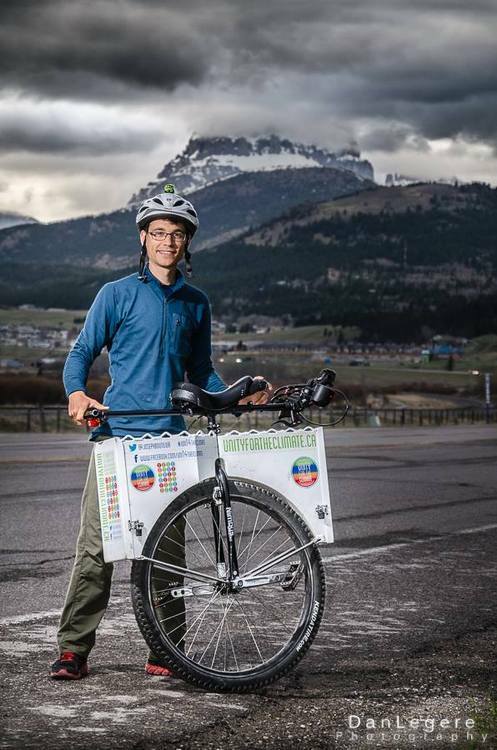 A driver turned around to offer me a ride into town, but I was already so soaked, and so close to town that I was determined to ride across the virtual finish line to the Downtowner Motor Inn in Creston that had offered a free stay for the night. Dramatic change in scenery (and weather) just pass Kootenay Landing. Unfortunately I didn’t realize that Lower Wynndel merged with the 3, not the 3A, nor that the connecting 21 South connected back with Canyon St. in downtown Creston. The few signs that existed didn’t help any, mentioning every town in the region except the one that was a less than 2km away. After a miserable 30 minutes backtracking and hedging my bets on the 3 then 3A, I finally stopped at A_W for a sanity check. I was, indeed, going the right way, but the last couple klicks were uphill, cresting at a traffic light. Not compelled to mount again and try to time the light, I limped the remainder with breaks in between, my shin splint punishing me mercilessly for the deed. A hot shower and dry sheets made the whole thing worth it. Sun or storm? 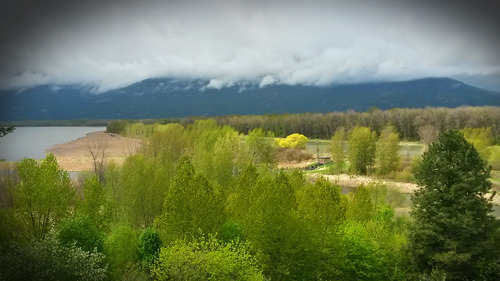 Melodramatic weather in Creston just couldn’t make up its mind. The promised thunder and lightning was a no-show. I opted to stay an extra night at the Downtowner and to visit the local hospital the next day to see if anything could be done about my shin. After the prerequisite 5 hour wait, a doctor noted a visible swelling that I had not; she prescribed me some meds and told me to rest for at least one more day, and in a couple days to rub a golf ball up and down my shin until it healed. Yeah right, I thought, like I’m going to go out and just magically find a golf ball halfway to Cranbrook; one was fortuitously waiting for me at a campsite a few days later. The anti-inflammatory meds helped, too, and I took advantage of a free stay at the Pair-A-Dice RV and Campground nearby for an additional day of rest. Other stops in Creston included a couple cafes for my mandatory dose of coffee, a free dinner at ABC Country (thanks Sierra!) where I also received an unexpected donation (thanks Christine!) and a chat with a local reporter. During this time, the skies rolled through a commanding slideshow of threatening heavy blue skies and pale overcast, while the sun blazed beneath across the jumbled rows of empty heritage mills and polished colourful storefronts. The shin splint that had started bothering me a week prior was far from gone; what if it was a bigger problem? Who gets shin splints from cycling, anyways? What if it never went away? I tried not to let these thoughts invade my focus on the journey and campaign at hand. I still had a long way to go. So, turns out I’m not so good at this ‘blogging’ thing after all. I am taking videos and writing posts, but the crucial step of remembering to upload them when I actually have internet access constantly alludes me. For anyone interested in my day-to-day progress, I have to say that Twitter and this nifty live GPS feed are going to remain the best way to verify that I’m alive and moving (or at least alive). In lieu of actual daily updates, this is going to be a quick-and-dirty recap of the first ten days of the journey. Launch in Victoria was great fun, despite mediocre weather for the Sidney event and my trepidation about the new cases. 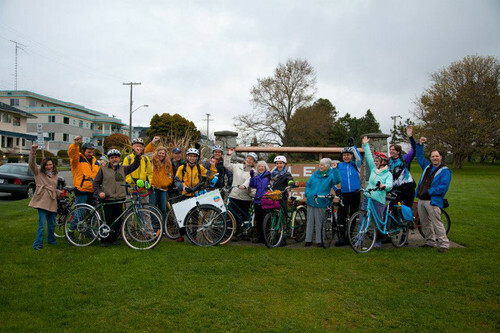 Myself and a small convoy of friendly cyclists arrived early for the Sidney event where I was warmly greeted by a generous and passionate crowd, accumulating pockets full of donations, safety gear, food offerings, letters of support and new contacts. After catching the 3pm ferry to Tsawassen, I cycled into Ladner. The roads were dry and quiet and I was surprised by the wide array of large farmhouses and heritage homes. I was quickly reminded how little of the lower mainland I’ve explored before. I was picked up by my first of several friendly billets who offered a warm, homemade meal. Best of all, I got an early night and was able to catch up on a bit of the 8 hours I lost to last-minute prep on Friday. Day two was a little rocky. The roads into Vancouver weren’t bad but the amount of traffic – and traffic lights – quickly revealed some outstanding flaws in my chosen method of transportation. The issue of mounting was paramount; not only did I discover I needed more space around me than most shoulders, sidewalks or bike lanes could afford, but even the slightest grades (up or down) added exponentially to the challenge. I opted to swing as far East as I could before heading into town for my 12pm appearance at Spartacus Books on East Hastings. This way I avoided the most chaotic parts of downtown Vancouver but still got to swing by some cool landmarks like the Science Museum and China Town. I ended up walking the last few blocks and arrived ahead of schedule, despite the delays. Spartacus was a bit of a let down; no crowd waiting, although my awesome billet for the next night was kind enough to swing by, and I used the extra time on two media interviews and spent a good 30 minutes talking to curious passers-by as I downed a corner-store muffin and yogurt cup. A stranger gave me $1.50 for a coffee; unsolicited spare-change can’t be common on the downtown East Side, and I reluctantly accepted the gracious gesture of goodwill. After Spartacus I cycled a horribly inefficient route to my billet in the South-East end of town, concluding with a failed hill-climb and an awkward UPD (or ‘unplanned dismount,’ uni-geek euphemism for a crash) right in front of my destination. Classy. Inside, I was treated to vegan pizza and homemade nut-butter smoothie: if I had an endless supply of one food for the duration of the trip, nut-butter fruit smoothie would probably take the cake (no, no, I wouldn’t take the cake, I’d take the smoothie…ah, never mind). I took a bus back into town for a 7pm meeting, and forgot to make change for a bus back. I spoiled myself with a tuna wrap and an espresso gilato. Monday was originally supposed to be a stationary, extra day in Vancouver, my logic being that I would likely have an extra meeting or two, have come up with some quick fixes for my new uni setup, and/or need to seriously rethink my plans with a couple days under my belt. 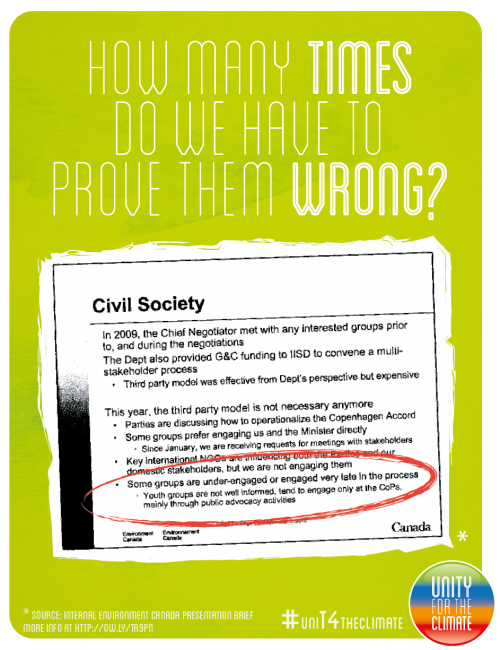 None of these proved true, for better or for worse, and I had a billet offer in nearby Port Moody. 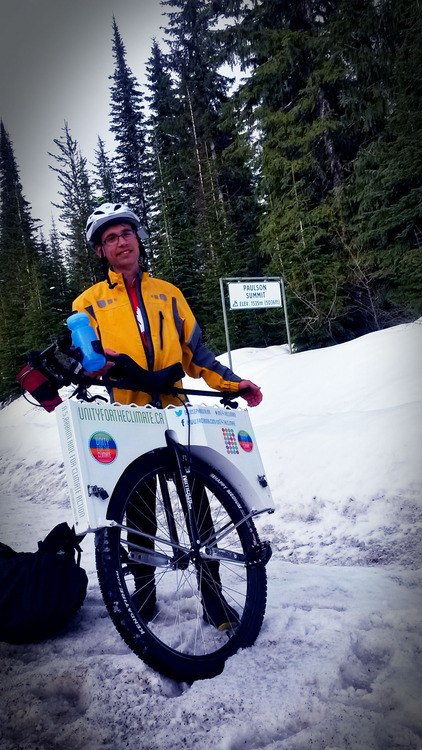 I decided to make the ride there, as a head-start for Maple Ridge the next day. The billet was an old family friend and my former landlord/room-mate from my school days on the mainland, and I knew I’d be in for more friendly conversation and great food. Judy didn’t disappoint on either front, going so far as to provide me with an amazing packed lunch for the next day to boot. Armed with extra food, rest, and a head-start on the next leg of the journey, I wasn’t too concerned when pending plans for staying in Maple Ridge fell through. I decided to charge ahead to Mission where another friend-of-a-friend stepped up to host in the community a day before schedule. I naively thought the worst of traffic complications were behind me, but drivers on the narrow urban stretch of the Lougheed in Port Moody were less than welcoming. I ended up walking a portion and had trouble re-mounting with a slightly new packing strategy. 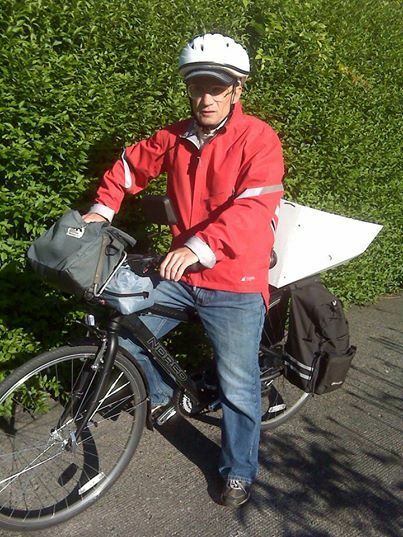 When I finally got on and started riding again, several traffic lights hindered my progress. More road rage also ensued, with people honking illogically when I stradled the edge of a straight-lane with a dedicated right-turn lane on my right (as cyclists should do). At one point, a red light took me by surprise and I had to hop off the front (instead of kicking the uni ahead of me as I usually do) which caused my water bottles to jump out into the crosswalk just as the lights changed. I scrambled to kick the bottles off the road and hung my head low as I dragged the uni to the shoulder. I was further demoralized when I realized there was nowhere appropriate to remount and safely merge on the narrow roadway, and spent another half-hour walking awkwardly down the side of the road. Things kept getting worse when I missed the Marry Hill bypass signs and almost found myself dead in the centre of a 6-lane freeway. Trying to take a shortcut across the highway, I found myself in the middle of a bog riddled with blackberry bushes and signs warning me that I was standing on a network of ‘high pressure pipelines’. Perfect. After all of that, I badly needed a coffee and a breather, as I reconsidered my ambitions to get to Mission. Maple Ridge arrival just before 1! On the upside, the weather was super accommodating, with storm clouds trailing me slowly and rain barely keeping up. And for every grumpy road-rager, another 3-4 drivers cheered me on and many more folks encouragingly told me how they’d saw me on the news. After I finally figured out the Marry Hill bypass and the confusing Poco trail, the rest of the trip to Maple Ridge was a relative breeze on the Old Dewey Trunk and other straight, quiet back-roads. I ate my packed lunch with an extra veggie role while charging my phone at a coffee shop and continued on for Mission around 2pm, figuring the worst was behind me. Indeed, the more-rural continuations of the Lougheed was simpler for the remainder of the trip. I made the mistake of stopping for a break on one rural side route where getting back on the highway required a series of obstacles (u-turn, hill, train tracks) before carefully timing a merge with rush-hour traffic where there was virtually no shoulder. Thankfully, this time, luck was on my side. With an aching crotch and fed-up disposition, I was grateful to descend into the heart of Mission, even if I still had to walk another steep incline to my billet for the night. After making a quick shopping trip (canned fruit salad, pre-cooked onion, lemon-juice and peanut butter; a complete and balanced meal, in other words), I bumped into Neil Smith; a cheerful fellow cyclist who walked with me halfway to my stay for the night. 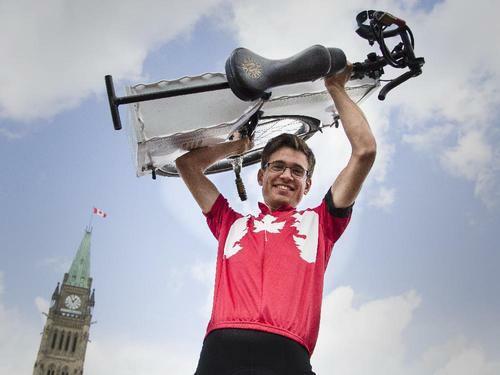 Neal had completed a zero-emissions ride for climate awareness from Richmond to Halifax four years ago…in 8 weeks! He had plenty of encouraging words and advice, but mostly stressed having fun. We pontificated on how any and all action to promote change reduces the sense of hopelessness and depression that can so easily take over people faced with the real burden of climate change, and how discovering other folks working for a better world is often the best source of optimism. As with most billets in this early stage, who are found through personal connections – and not the campaign directly – I was reluctant to delve into some of the political motivations of my journey with the family that put me up in Mission. As usual, I worried too much. Although I’ve witnessed the handful of obligatory internet trolls on Facebook, I’ve yet to meet anyone who doesn’t support my mission, much less who isn’t concerned about our inaction on climate change. 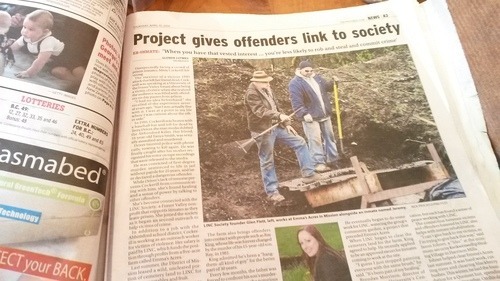 Sherry and Glen, who offered me a great meal and warm bed despite a busy household, work around the clock to foster food security and sustainability, encourage diversity and support victims and offenders alike recover from traumatic crimes, all through local farming and food-distribution programs. The next morning I set out early enough to make a breakfast stop in nearby Dewdney before carrying on. Two BC Hydro workers stopped me before I headed into the local diner to give me a $20 donation and some encouraging words; like many folks they’d heard about the journey on Global’s BC newscast the Sunday earlier. A busy table in the diner also knew who I was. The attention was a little overwhelming so early in the morning; after brief acknowledgements I was happy to hide in a booth with a copy of The Province. Seeing the paper was a reminder of how out-of-the-loop I’d been since my departure. The second page was a story about Glen, and a much less-modest description of the work he’s doing for Mission community. Reading the paper at breakfast and who’s on the second page but Glen Flett, who kindly gave me a bed the night before. With great weather on my side, I zipped right through my potential stops of Lake Errock and Harrison Mills, settling in Agassiz well before sundown. Needing to charge my phone and check emails, I briefly considered stopping at the local Subway or A_W, where those services are more-or-less guaranteed. Instead, I opted to try a local business - Magpie’s Bakery. They had neither, officially, but the baker-on-duty was graciously accommodating. 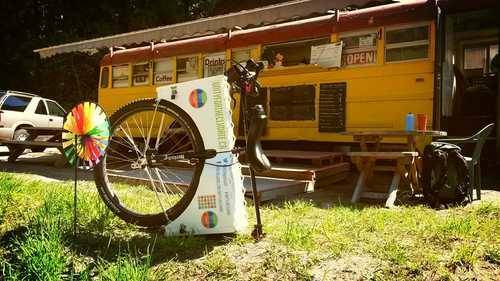 A unicyclist himself, he was impressed by my ambition, and offered a free cup of coffee while providing me with a wealth of local knowledge. After making arrangements with the local paper and stocking up on food, I headed a few kilometres back to the Pathfinder Motel and Campground: The only local motel, The Pathfinder’s main claim to fame is eerie folk art statues gating its entrance. Despite my better judgement, I opted to camp and was almost surely the first person to use the public bathrooms since the season previous. After wiping away the cobwebs and treating myself to a luke-warm shower in a stall that smelled dubiously like rotten eggs, I did my laundry in the sink and gnawed down a nourishing meal of peanuts and a power bar. Needless to say, I was happy to return to Agassiz the following morning for a hot breakfast before making my way to Hope. The campground in Agassiz was pretty. The bathrooms were not. Before I left, I got a chance to talk to Jessica, the editor of the Agassiz Observer, who snapped some pictures and gave me tips on local projects with climate impacts: contrasting the spill ‘simulation’ testing that Enbridge was doing in the Fraser River, a team of researchers were capturing kinetic energy from the river’s surface to experiment with highly efficient, low-impact hydro power. She also explained the reason for a complete absence of active businesses on half of what I’d mistakenly perceived as the main road through town; I was actually in the middle of a TV set on hiatus, otherwise a municipal park. Halfway to Hope, a couple Harley bikers passed and then stopped on the shoulder a few meters ahead. They waved as I approached and I dismounted to greet them. Vic – a local fishing charter and tourism operator – and his friend Gary were curious about my mode of transportation, but mostly my cause. Eager to get involved and help spread the word, we exchanged contact details and Vic gave me some tips on good contacts in Hope. When I arrived in town a few hours later, Vic and Gary were on their way out, and pointed me towards the Blue Moose Café where the manager was also a former Tourism office manager and the webmaster of a popular community services website. By the time I got inside, I was already known; a free, much-need frappuccino and sandwich were provided and it wasn’t long before the legendary Riley came to say hello. Like Vic and Gary, Riley urged me to rethink my plans for tackling the Coquihala, despite its wider shoulders and better roads, in favour of the quieter, fairer-weathered and shorter Highway 3 (Crowsnest) to Princeton. He also pointed me in the direction of local cycling guru (and bookshop owner) Nat, who had much the same advice. Wanting another day to re-route accordingly, and prepare for the long, isolated trek over the Alison Pass and the Sunday Summit, I continued to seek out a billet even after resorting to a motel for the night. Here I am standing with my uni in Hope…Just kidding. I’m not tall and handsome like that. I spent the next day buying more food, a new bag and line for keeping food out-of-reach of bears, plus a wrench to help me change my pedals to the longer 165mm option (two-holed cranks, 137mm default) to make big hills a little easier to swallow. I spent the night with Gerhald and Sabine of Willow Tree Spa, whose generosity was outstanding. After inviting me to a feast with other dinner guests, Sabine contacted friends afar for potential billeting on the road ahead, plus advice for places to stay between Hope and Princeton. The next morning they gave me an incredible breakfast – too big to finish – and extra granola for the road. 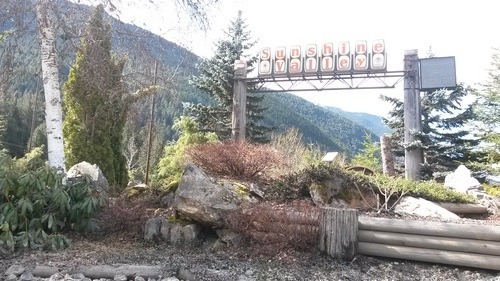 There are only three tiny communities between Hope and Princeton – plus the Manning Park Resort – and only the first of them has casual off-season accommodations. I decided to take advantage of this by stopping in Sunshine Valley at the local RV Resort and Campground. Here, too, folks had heard of my coming, and free coffee was on offer (a small but much-appreciated perk, given how much I go through). Although only 20kms, the trek to Sunshine Valley was slow-going, requiring much walking, especially since I wasn’t entirely used to the new 165 crank length and extra weight. (Despite having shipped my laptop ahead to Princeton from Hope, it didn’t offset the extra 2l of water and bag of food I had to take). When I woke up in the morning, my tent was covered in solid, prickly frost; my water bottles were frozen through. Luckily my -9c sleeping bag had kept me warm enough to face the frigid morning…at least after another cup of strong coffee. When the sun goes down in Sunshine Valley, the frost comes out! 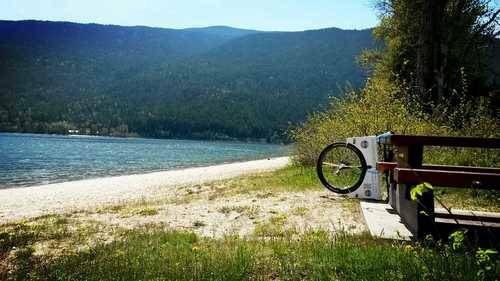 The cycle to the Manning Park resort was grueling, as the frost dissipated and was replaced by beating sun and soaring 20+c temperatures, and sweeping hills evaded the horizon from every side. I needed the extra water I brought, as much of it was spent splashing myself down to cool off. The resort could not come soon enough. I was happy to pay the (comparatively) exorbitant $100 to rest in a real bed, do laundry in an actual machine, unwind in front of a TV, and eat a cooked meal at a real table. It struck me how much these petty creature comforts have a hold on my mental health, and why we face such a struggle in weaning ourselves of unsustainable first-world expectations in order to promote economic and environmental equality. I’m sure I could camp for many more days, but can guess how my enthusiasm and energy might wain with the grating of day-to-day discomfort. 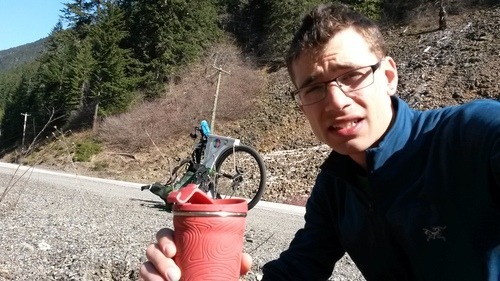 Much-needed crotch/coffee break in Manning Park. Monday welcomed in the second week with the hardest day of my journey thus far. 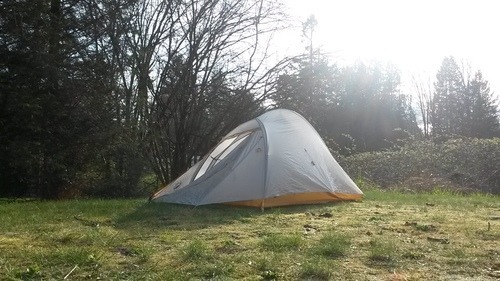 The 65km trek to Princeton seemed impossible given my estimated 35km-day average (on level ground), but I was secretly hoping I could pull it off (knowing the alternative was camping in the middle of nowhere). The park quickly fell away, but the hills kept getting steeper as the shoulders of the road became coated with gravel, laced with rumble strips and potholes, and eventually disappeared altogether. The corners banked high on either side of the road, leaning me into the steady traffic of 18-wheelers. Although most drivers were incredibly patient and careful, I feared for my safety in enough sections that I spent hours on foot. Because none of that was challenging enough, I wiped out not once, not twice, but three times that day. A rut in the road caught me off guard before I’d even left the resort, leaving my front water-bottle holder split in two and more weight in my backpack. When the cuffs of my pants got caught on the cranks and launched me forward, it loosened the seat post so much that I had to stop and remove the saddle to tighten the bolt (which took an hour due to an improperly threaded screw). Gravel on a steep incline caught me up again, and I fell with my heel jammed in between the cranks and the spokes. Luckily nothing broke (on me or the uni). These errors cost me my goal for the day, though; I made it painfully close to Princeton before the sun began to fade. Manning Park scenery: very much worth the effort. Rather than risk getting caught on the narrow road in the pitch black, I opted to look for somewhere to camp. By this time I was was about 12km west of Princeton, and barbed-fences and ‘No Trespassing’ signs lined the shoulders. This wasn’t Manning Park. The first empty spot I scouted as a potential guerilla-campsite was full of bear droppings and fresh prints. Briskly moving on, I wandered down a small service road and set up camp, cautiously keeping my bear spray close at hand. I didn’t sleep much that night, but my restlessness did afford me a glimpse of the beautiful blood-red moon on the night of its eclipse. Of course my phone/camera died before I could take a picture, but landscape of perfect, haunting isolation and quiet beauty will stay with me long after this trip is over. 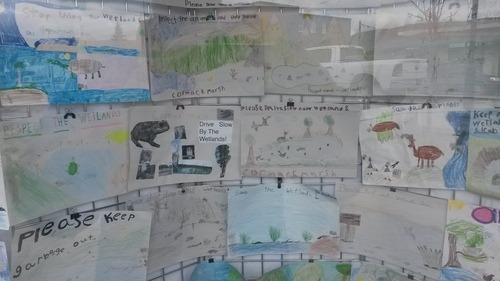 The kids of Princeton have their priorities straight! Today I arrived in Princeton before 9am, picked up my laptop from Canada Post, and was greeted – I thought by happenstance – by local councilor Kim Maynard and his sister Dierra. Turns out, they had come to town looking for me, having heard of my arrival from a member of the local Chamber of Commerce. Kim took us in his electric volt to a local coffee shop where we met with a local news editor and discussed the campaign and Princeton’s green initiatives. Kim later offered me the use of a vacant rental home for the night where I finally find myself with the time to finish this blog (after visits to the local hardware store, grocer, second newspaper and The Source for a pair of badly-remiss earbuds). As much as ever, strangers know who I am and what my mission is. Legends of other cross-country journeyers, with bikes, carts and canoes in toe, are coming into focus the more people I talk to; I’m eager to meet these fellow travelers in the weeks to come. I’m constantly reminded that I’m not the only one who cares. I cherish every meeting with every stranger, however modest or ambitions their strides are in marching on for a better future, and supporting folks like me that have the time and energy to represent their passion for change. 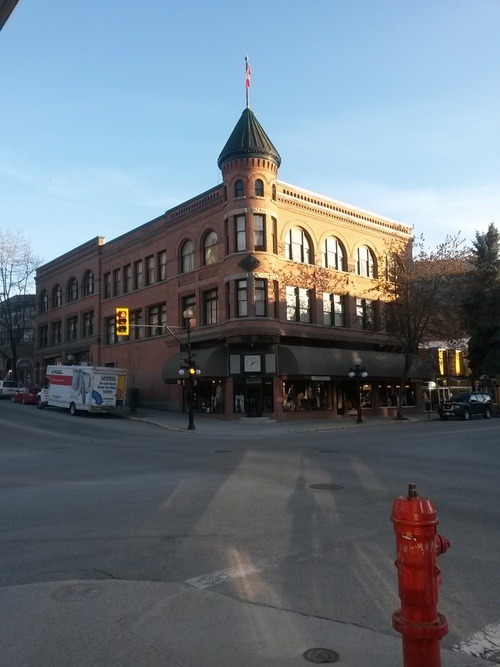 Us ‘city’ folk (even in small cities like Victoria) often pontificate on the ‘sameness’ of small-town Canada. That’s true in some sense, but more true is the ‘sameness’ of all of our shared values for responsible stewardship of our homes and our future, whether we live in cities, towns or elsewhere, despite the rich and striking diversity of our communities.